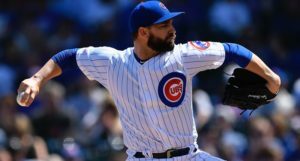 The Cubs drop a couple ugly ones, and even as their record is a lofty 9-3 to start the season, today is still going to feel mighty long while we wait for tonight’s opener against the Cardinals. Because the 2015 season, on reflection, feels completely awash in great memories, it’s easy to forget that there were some not-so-great-times for the Cubs last year. Indeed, when you think back to the Cubs and Cardinals in 2015, you probably first think of the truly excellent NLDS, and then maybe the late September series (the one with the beanball) that the Cubs won (thanks in part to Addison Russell’s picturesque finish). But do you remember earlier in the year when the Cubs were completely vexed by the Cardinals? There was the totally blah Opening Night loss. There was the horrible four-game series in St. Louis in May that saw the Cubs twice blow leads and lose – including what may have been the worst regular season loss outside of that Phillies series sweep (or was it when they lost to the Cardinals on that Jhonny Peralta home run in the 9th?). And then there was the ugly three-game sweep in St. Louis in June (which was immediately followed by the Cubs’ “it’s magic!” sweep in New York … God I love reminiscing about that 2015 season … ). That is all to say: it was a mixed year for the Cubs and Cardinals in 2015. The Cubs got the best of it in the end, but the Cardinals were plenty dominating overall, winning 100 games – 11 of them at the expense of the Cubs (the Cubs won 8 of the head-to-head games) – and taking the NL Central. This year, and today, the rivalry continues. I won’t discount the Pirates’ chances in the NL Central at all, but that’s not what’s on the table for today. For today, it’s the Cubs and Cardinals, and it’s the start of another season of what will probably be memorable, frustrating, and exhilarating games. How will John Lackey and Jason Heyward be received? Probably with loud boos. 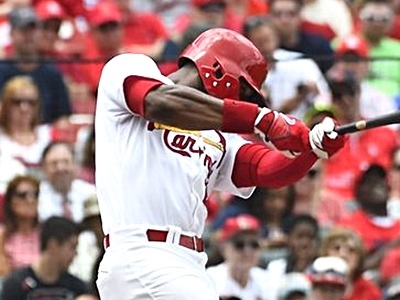 Neither player chose to join the Cardinals, mind you, as each was traded after only a short time with the team. Then, when they had a chance to depart in free agency, they did. I’d think it hard to really have a beef with either one of them if you’re a Cardinals fan, but, well, you know. Throw in the fact that they went to a rival, and I’d understand some booing. Hopefully Lackey and Heyward both have huge games, making their return extra fun. Oh, and the Cardinals might actually have to refer to the Cubs as the Cubs this week. Yesterday’s double by Jon Lester – a 109.9mph rocket – was the hardest hit ball by a pitcher so far this year, according to Statcast. 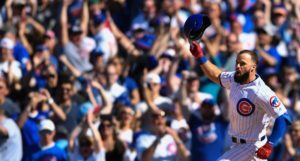 Kris Bryant reflects on his one-year big league anniversary over at CSN. Coco Crisp made a ridiculously impressive sun-blinded catch, but the ballboy may have topped him. If you missed anything this weekend, catch yourself up here. And Luke’s got your Minor League Daily here. 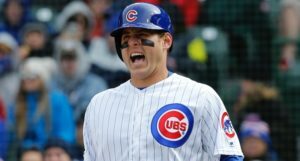 Previous PostPrevious post:Cubs Minor League Daily: Do You Know Who Leads The System In Home Runs?